Documentary telling the story of US evangelist Billy Graham's 1955 'All Scotland Crusade' through the eyes of the people who were there and the cameras which followed him. 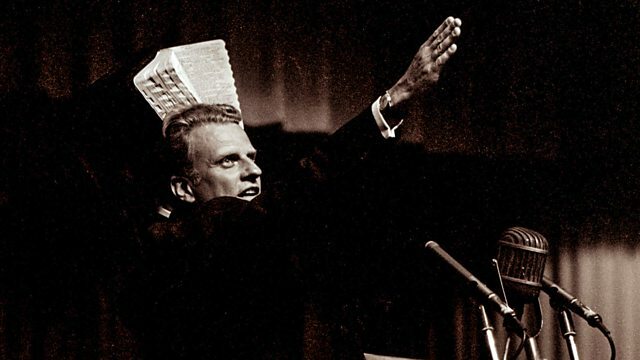 In 1955 US evangelist Billy Graham arrived on an 'All Scotland Crusade' aimed at saving the country for Christianity. During the Cold War, amidst great austerity and mounting agnosticism, Graham arrived like a Christian Elvis and wowed more than a million people during a six-week residency at Glasgow's Kelvin Hall and major stadium events at Hampden, Ibrox and Tynecastle football grounds. Six Weeks to Save the World tells the story of Graham's crusade through the eyes of the people who were there and the cameras which followed him. Graham was said to have preached to more people face to face than anyone else in history.